About 7.4 million Asian Americans and Pacific Islanders (AAPI) work in the United States, making up 5.3 percent of the total U.S. workforce. About 7.1 million of these AAPI workers are Asian Americans; about 300,000 are Pacific Islanders. The AAPI workforce is almost 20 times larger today than it was in 1960. Meanwhile, the share of AAPIs in the total workforce has increased about tenfold over the same period. 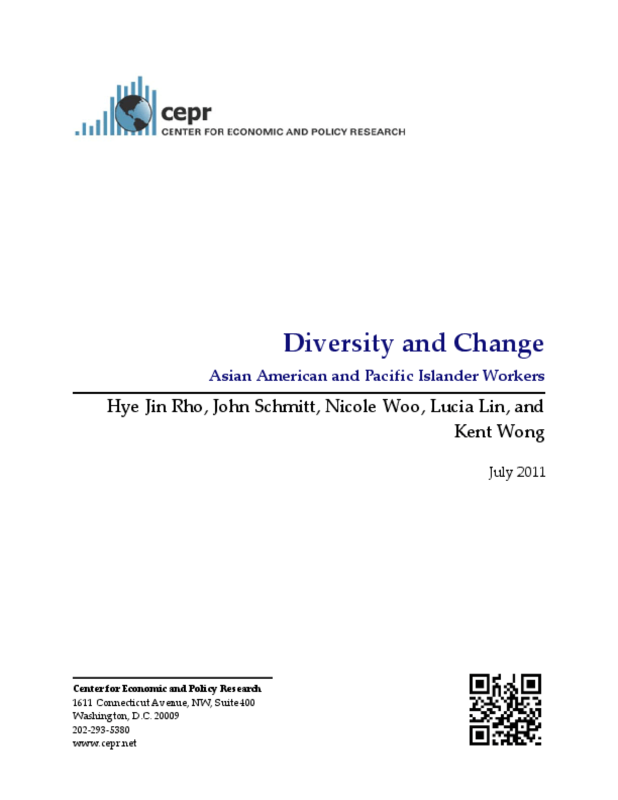 Three broad themes emerge from our analysis of the data: The first is that AAPI workers are highly diverse. The second theme is that AAPI workers face many challenges in the labor market. The final theme is that the trends in the economic circumstances of AAPI workers have closely mirrored those of the broader workforce.